Luminary’s core expertise is designing and implementing modular, durable and functional mission aircraft interiors that provide substantial weight savings over conventional interiors. 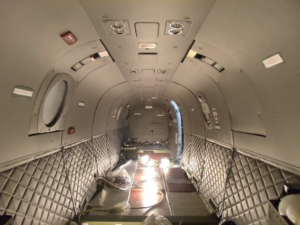 With more than 20 years of experience working with military and tactical aircraft of all types, we understand well the need for a multi-configurable and maintenance friendly aircraft interior system. That is why we developed the All Day Mission Interior, a high performance system that is both lightweight and extremely durable. ADMI is low maintenance, delivers superior acoustic and thermal performance and presents a cleaner, more seamless look than any other aircraft interior system flying. At the heart of the ADMI lies our proprietary mounting system – custom configured to each specific aircraft and type – which supports the precision engineered external components. There is no need to penetrate or alter the aircraft fuselage in any way. 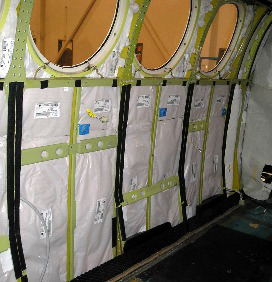 Once installed, ADMI panels allow quick access to critical maintenance points without dismantling the entire aircraft interior, and deliver a highly functional, cleaner appearing aircraft interior. Luminary Air Group fully maps each aircraft interior, ensuring the installation is precisely engineered for the aircraft. Our teams deliver and install each ADMI package. Lastly, both the ADMI and our insulation packages are available with optional Supplemental Type Certificates (STC). Luminary Air Group’s ADMI is durable and mission effective. 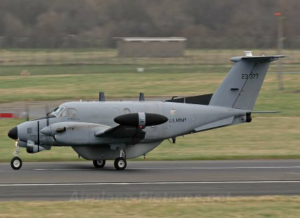 It has been proven in tactical aircraft of all types, flying mission profiles of all types.The system is installed in military and civilian tactical aircraft worldwide, delivering better maintainability, durability, weight benefits and overall appearance than any other type of interior system. The ADMI holds up in the harshest conditions. US Air Force tactical reconnaissance aircraft outfitted with the ADMI are flying critical missions every day, flying up to three sorties a day. 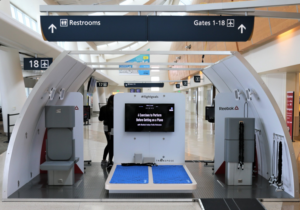 Air crews appreciate the cleaner mission environment, and because ADMI lowers noise levels and keeps the interior more thermally stable, air crews are less fatigued on demanding, multiple missions. Our installation specialists and engineering teams are well-versed in the practices and procedures of governmental and contractor facilities, including tool accountability, FOD control, DCMA requirements and other specialized site and project requirements. Luminary teams are available globally 24/7 to provide support on existing programs, as well as future programs. Team members all have appropriate security clearances as required. No matter what you’re flying, where or when, Luminary Air Group has you covered. Learn more about aircraft interior treatment options.